The University Grants Commission will soon start marketing Indian universities abroad from next year by holding India Education Fairs in South Asia, West Asia East and the Gulf, said UGC Chief Dr Arun S. Nigvekar here today. With a view to supply more power to farmers during the ongoing paddy season, the Haryana Power Transmission and Distribution Corporations will purchase 100 MW additional power from Himachal Pradesh. Jathedar Surjit Singh, president of the Haryana Sikh Sangat, lashing out at Mr Bhajan Lal today, said he should have appeared before Akal Takht and sought pardon for the humiliation of Sikhs during the Asian Games in New Delhi in 1982. The Special Magistrate for CBI cases in Ambala, Mr Y.S. Rathore, has adjourned the hearing of Ruchika molestation case for September 13 here today. The former DGP, Haryana Mr SPS Rathore, is allegedly involved in the case. The statement of Anand Prakash will be recorded on September 13. Haryana Chief Minister Om Prakash Chautala today directed the Departments of Police and Irrigation to ensure patrolling along canals and take stern action against those found making breaches in canals to steal water. A woman has allegedly killed her husband over a petty issue. According to information, a 55-year-old beldar, Garibu, of the Irrigation Department was brutally murdered by his wife with an axe. The deceased was a resident of Sukhupura village of the district. Kurukshetra University will introduce four-year integrated bachelors courses in tourism management and catering technology in collaboration with Indian Tourism Development Corporation, Mr A.K. Chawla, Vice-Chancellor, said here today. Scientists have expressed concern over inadequate spending by corporates and the government on research and development of pharmaceuticals. “Two ‘Suraksha Sathis’, will be appointed in each Haryana village with a population of over 5,000,” the Director General of Police, Mr Mahinder Singh Malik, said here today. He was speaking at a function after inaugurating a police station. The Haryana School Education Board will take stern action against those who encourage copying in the state. Brig O.P. Choudhary (retd), Chairman of the board told reporters here yesterday that legal action would be taken against those who were involved in leaking question papers. A college student participates in a talent show contest held at G.M.N. College in Ambala on Saturday. — Photo Neeraj Chopra. Talent show contests were held at Gandhi Memorial National College as well as at Government College, Cantonment today. A two-day competition was organised by the Youth Welfare Department of Kurukshetra University at Gandhi Memorial National College. A number of students participated in eight different competitions. The Kharga Army Wives Welfare Association week concluded here on Saturday. A blood donation camp was held at the blood supply unit at Ambala Cantonment. The camp was inaugurated by the officiating president of the Kharga AWWA, Mrs Babboo MP Singh. The government has decided that the three days — May 7, 8 and 21, 2003 — when the employees of various departments, boards and corporations had remained on strike or resorted to agitational activities would be treated as leave of the kind due. He was here in connection with a seminar said he had asked the Vice-Chancellors of all universities in the country to identify the best courses to participate in the planned education fairs before the beginning of the next academic session. Presently, Indian universities attracted 20000 students mainly from the South Asian , Middle Eastern and Gulf countries. It was planned to take this figure to one lakh at the earliest. He said India was still the cheapest place for higher education in many disciplines and an MBA degree from a foreign university cost anything between Rs 7 to Rs 10 lakh, the same could be obtained from noted Indian institutions for a mere Rs 80000 to Rs 1.5 lakh. He said, India had made a name for itself in the computer and IT fields. Indian IT experts were in great demand the world over. It was now planned to aggressively market Indian courses abroad. Dr Nigvekar said the Centre had earmarked Rs 3565 crore for educational infrastructure development during the 10th plan period. The money would be utilised for improving academic excellence in colleges and universities. As many as 150 selected colleges in remote areas and recently established colleges would be given Rs 10 lakh each for the purpose. Besides colleges which are neither affiliated to NAAC nor were autonomous would get a one time grant of Rs 35 lakh for improving academic excellence. If a college was either autonomous or affiliated to NAAC, it would get Rs 60 lakh. Those colleges which were both affiliated to NAAC and were also autonomous would be given Rs 1 crore. The UGC chief said all 309 universities in the country would be networked shortly. Besides, all colleges would be provided dial up access to this network at the cost of the UGC. It was disclosed by Maj-Gen (retd) B.S. Rathee, Chairman, of the corporations, while addressing public meetings at Gatauli, Behabalpur and Bibipur villages, near here, today. General Rathee said about 650 lakh units of electricity were being supplied in the state daily. Due to paddy season and increase in demand of power for tubewells, it was necessary to supply more power to consumers. He said the power corporations would ensure regular power supply in the villages during night. He would direct the power controller to regulate the power accordingly for the purpose. While referring to the payment of pending electricity bills, General Rathee said the consumers should pay their current bills immediately. The UHBVN and DHBVN would send the current bills to the defaulting consumers. He said no introduction of any surcharge waiver scheme was not possible as the matter is sub-judice. Jathedar Surjit Singh, president of the Haryana Sikh Sangat (HSS), lashing out at Mr Bhajan Lal today, said he should have appeared before Akal Takht and sought pardon for the humiliation of Sikhs during the Asian Games in New Delhi in 1982. He said, “There is no point in joining hands with the Congress in the state under Mr Bhajan Lal’s leadership as it is not easy to forget the atrocities on Sikhs during his rule in the state”. Jathedar Balihar Singh, general secretary of the managing committee of Manji Sahib here, said, “The Sikhs of Haryana cannot forget the days of ‘terror’ that claimed many lives”. Earlier, a meeting of the gurdwara committee was held under his leadership to discuss the politico-religious situation following Mr Bhajan Lal’s appeal to the Sikhs. A resolution was passed, to bury the past. Demanding the withdrawal of Z-plus security for the Congress leader. Jathedar Harjinder Singh, an Akali activist, said, “The Congress leader should not have Z-plus security if he really had a place for the Sikhs in his heart. He should help save public money that could be utilised for welfare schemes”. A senior Akali leader said, “The INLD has not given us political representation even though we helped it win the Assembly elections”. The Special Magistrate for CBI cases in Ambala, Mr Y.S. Rathore, has adjourned the hearing of Ruchika molestation case for September 13 here today. The former DGP, Haryana Mr SPS Rathore, is allegedly involved in the case. The statement of Anand Prakash will be recorded on September 13. Mr Prakash is the husband of Madhu Prakash, the complainant in the case. The application filed by counsel of Mr Rathore to hold the proceeding of the case on the day to day basis was along argued in the court. Mr Ajay Jain, the counsel of Mr Rathore said that the Punjab and Haryana High Court had directed the Ambala court to conclude the proceeding of the case within six months. He said the case has been pending for the past three and half years. The argument on the application would also be heard on September 13, Magistrate ordered. The application filed by Mr Rathore under Section 340 also came for hearing in the court. In this application Mr Rathore has alleged that Ms Madhu Parkash and others had tampered with some documents while filing a petition in this regard in the high court. The Magistrate fixed September 13 for the argument on the application. Mr Chautala stated this while addressing a public meeting at Alakhpura village in the district. He said the canals should have a regular flow of water as in many areas their water was also being utilised for drinking water supply schemes. It is learnt that it was the second marriage of the deceased. From his first wife, he had four children of whom two daughters are married. After the death of his first wife, Garibu had got married to Rajo about 12 years ago. He also had two daughters from his second wife. According to information, there was quarrel between the husband and the wife on Thursday morning which aggravated and Rajo attacked her husband with an axe lying in the house. Garibu was seriously injured and shifted to hospital where he succumbed to his injuries. The local Sadar police has registered a case of murder and arrested the wife of the deceased. He added that the university had introduced courses in B. Pharma and M.Sc. (Industrial Chemistry). He further said the state government had sanctioned the post of placement officer. The Vice-Chancellor said Dr J.S. Kadian, who had visited the UK to attend an advanced course in administration, had apprised the university authorities of certain innovative schemes to boost research. Addressing a seminar on Alzheimer’s disease at Guru Jambheshwar University on the inaugural day yesterday, several speakers said under the provisions of the WTO regime applicable from January 2005, cost of pharmaceuticals would rise very much since Indian companies producing medicines users which were in other countries would have to pay huge royalties. The main speaker Dr Vijay Singh said the country would have to be self reliant in pharmaceuticals if the cost of medicines were to be kept within the purchasing power of consumers. Every village with a population of upto 5,000 would have a ‘Suraksha Sathi’ for better police-public cooperation. This way, not only 7,500 young men would get employment, but also the state would be able to check criminal activities. Mr Malik said Rs 154 crore had already been spent on this project. Presiding over the function, the Deputy Commissioner, Mr D. Suresh, said the new police station was the first in a district headquarter to be linked with the computerised information centre. The Chiarman said the board had transferred 176 employees in the recent past. He refused to comment when mediapersons pointed out that in the previous middle, matricluation and plus two examination cases of copying and paper leakages were brought to the notice of the board. He said such cases would be not repeated in future. In future, question papers would be kept at secret locations. Talent show contests were held at Gandhi Memorial National College as well as at Government College, Cantonment today. A two-day competition was organised by the Youth Welfare Department of Kurukshetra University at Gandhi Memorial National College. A number of students participated in eight different competitions. In dance competition, Sumit Manchanda stood first and Shashi Kala second. Special prizes went to Gurpreet, Mandeep and Ashwini. In poetry, Vatan Singh stood first, Amandeep Singh second while Shashi Lala got the special prize. In speech, Gunchi Midha was first, Asha Singh second and the special prize went to Frenny Oberoi. In quiz, the team of Amit Kumar Misra and Simran Sandhi stood first while the team of Ragini Sharma and Pratibha got the second position. In mono acting, Gagandeep stood first and Vivek Arora second. In mimicry, Amit Kumar Singh was first and Sumit Manchanda second. In painting, Vivek Arora stood first and Rajinder Kumar second while Ajay Yadav won special prize. In singing, Vivek Arora stood first, Saurabh stood second and special prizes went to Mohit Gupta, Asha Singh and Shrenik. At Government College, Cantonment the Naggal MLA Mr Jasbir Mallour was the chief guest. XEN Panchayati Raj, Mr Ram Phal, who was a special invitee, donated Rs 11,000 for the construction of benches in memory of his wife. In speech, Manu Lakhotra stood first while Deepak Chaswal second. In painting, Manish Kumar was first while Kaptan Singh Dhillon second. In singing, Leena stood first while the second spot was shared by Ram Pal and Neeru. In poetry, Ram Bhagat was first and Pradeep Chaswal second. In mono acting, Manu Lakhotra stood first and Yogesh second. In quiz, the team comprising Vikas Sharma, Kamaldeep Singh and Neeraj Sharma stood first while the second prize went to the team comprising Manish Kumar, Abhishek and Sarvjeet Singh. 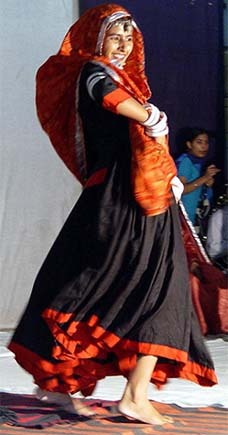 In dance, Parasmani stood first while Nidhi second. The Kharga Army Wives Welfare Association (AWWA) week concluded here on Saturday. A blood donation camp was held at the blood supply unit at Ambala Cantonment. The camp was inaugurated by the officiating president of the Kharga AWWA, Mrs Babboo MP Singh. The blood supply unit under the command of Lt-Col Anil Kaushik carried out a blood grouping camp in which 363 families of Army personnel participated. A Kharga AWWA health record card was also released. An awareness campaign was held on August 18, the opening day of the AWWA week, at Kharga auditorium where a lecture was delivered by Brig Ashwani Kumar. A painting competition for schoolchildren was organised from August 18 to 21. A cultural programme was presented by special children of Asha school and prizes were given to winners. The government has decided that the three days — May 7, 8 and 21, 2003 — when the employees of various departments, boards and corporations had remained on strike or resorted to agitational activities would be treated as leave of the kind due. A communication in this regard has been sent by the Chief Secretary to all heads of departments, Divisional Commissioners and Deputy Commissioners etc. Women of Balmiki Basti, Gharaunda, who had protested against the installation of new electronic meters yesterday by throwing their meters at the office of SDO K.R. Gupta, today gheraoed the house of MLA from Gharaunda Ramesh Rana on the issue. Five persons, including three women, were killed an accident involving a vehicle and a truck on the Kurukshetra-Pehowa road near Murtzapur village about 15 km from here, the police said today. Another six, who were also travelling in three-wheeler, were injured seriously late last night and were admitted to hospitals in Kurukshetra and Pehowa. An anti-encroachment drive was carried out at Panjokhra village today. The unauthorised construction at the village pond and the `phirni’ was removed during the six-hour-long drive. JCB machines were used to raze the illegal constructions. The drive was carried out under the supervision of the BDPO, Mr Roshan Lal.